How to Replicate 6 of Your Favorite Store-Bought Holiday Drinks at Home! It's the most wonderful time of the year! The weather is getting colder and holiday decorations have taken over. It also means that our favorite holiday drinks are back up on the menu! From peppermint mocha to pumpkin spice (which I'm sure we've all been enjoying already), nothing puts me in the holiday spirit more than cuddling up on the couch near the fireplace watching movies and sipping on some hot chocolate. Because the holidays are quicky approaching, here are some awesome DIY holiday drinks you can make at home to get in the holiday mood! Skip to 1:15 in LaurDIY's video to check out how its done! Skip to 1:53 right after the Pumpkin Spice Recipe in the video above! Skip to 1:31 in keepupwithliv's DIY video to check it out! Check out Mind Over Munch at 2:45 to see how to make this awesome drink! Ella Elbells makes this drink at 1:37! 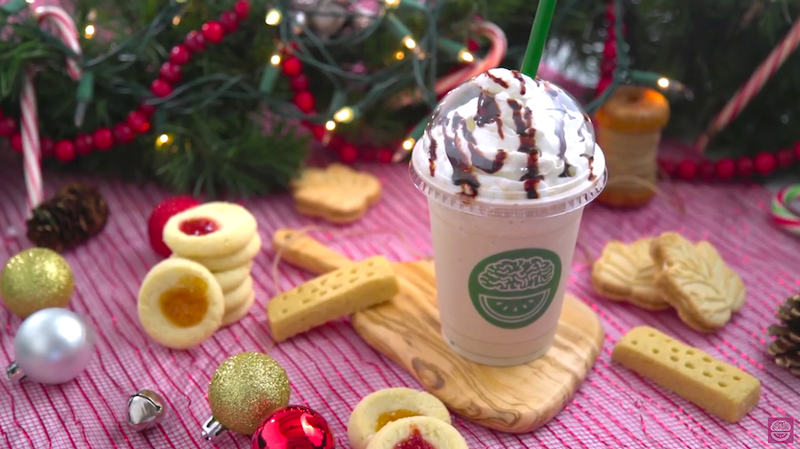 Skip to 2:14 to see how Mind Over Munch creates this festive drink! Let us know if you try out any of these DIY Holiday Drinks and be sure to check out all the DIY channels that make these sweet, festive drinks!